It’s been a while since I’ve posted on this site, and to be honest, holiday laziness just took over, but I was committed to posting something before the end of the first month. This year I’d like you guys to be more interactive with me on my site as well as social media, I’m so passionate about food and I want you guys to experience that with me, and learn how to make lovely meals for yourselves too. I’m always open to hearing what you guys enjoy, and what you’d like to see more of! Today’s dish is something a lot of people enjoy as a side! I like mine in salads or slightly pulsed in bread, but now and again, straight on the cob with an assortment of “toppings” – Sweetcorn! I’ve seen this at Mexican restaurants and was eager to try it home, so I got my ingredients together and recreated this yumminess! 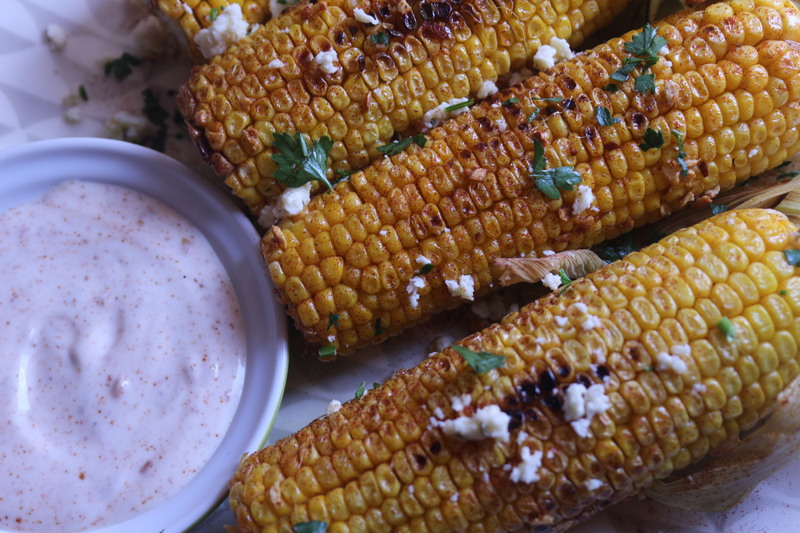 I also made a side sauce that you spread on the corn with my Nola Mayonnaise, and it’s incredible! Nola has such an I incredible range of Mayonnaise and spreads that’s suits all kinds of needs and taste! They have An ultra creamy mayo, extra tangy, slimmers range and more! It’s thick and creamy and just the perfect accompaniment for this dish! Let’s get to making our loaded corn! 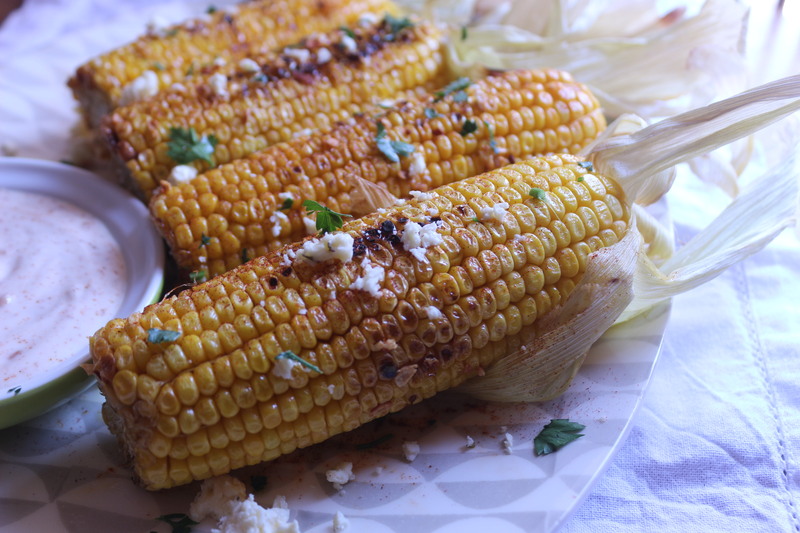 Heat your butter up together with you garlic and chilli flakes and toss your corn in, let it char a bit as that adds to the flavour. You can now remove it, and sprinkle a bit of salt, cayenne pepper and your feta. 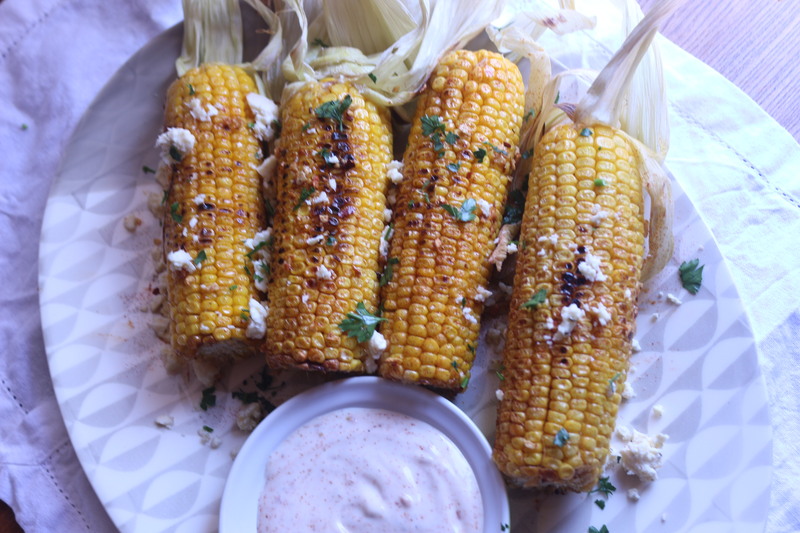 What I like to do is mix my Mayonnaise, cayenne, feta and Parsley together and roll the corn in! It’s spicy, and creamy, salty and Smokey the same time! A treat!! Try it soon! Previous Post Crispy Angel Fish..
Next Post Chocolate Chip Banana Bread.. Welcome back. not a fan of corn but that looks good.